Now, we obviously have to give mad props to Dido, the original singer for putting this out in the universe, but in all reality, I think Miley gets it right in her style. Now, before I turn this into a music review (sorry, music nerd coming out) let’s get to the point of why this is relevant to a hiking blog, and more specifically, my journey. A couple of weeks ago (August 29, 2015… I’ll never forget that date. 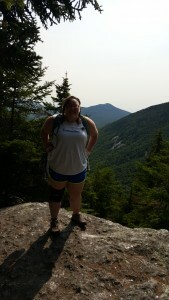 ), I decided to do a “practice hike” AKA, I just really wanted to be in the woods, and hike some awesome trails. The specific trail I had in mind was the Old Speck and the Eyebrow, This specific trail is actually located on the AT, and is a gorgeous hike. The Eyebrow is a blueblaze that is challenging, and very rewarding. There are some really steep areas that require a decent amount of upper body strength. Heaven knows all hikers need that, am I right? The pole and wire attached are to pull yourself up with. You would think that, if I were to get hurt, this would be the place for it, right? Oh, no. You see, Old Speck has two smaller summits (roughly 2,500 elevation for the first, and the second being roughly 3,000), and while my friend and I were meandering over the second summit (being passed by most of the soccer team on their way back), I happened to step perfectly on a rock that was just perfectly placed, and I not so perfectly took a tumble. While I was gracelessly (someone had to say it first), falling to my doom, I managed to twist my ankle in a manner that caused my ligaments to either be stretched or torn (this is yet to be determined by my Dr.), and I landed all of my not so gracious weight onto my left palm. For me, it was my leg, and my wrist. 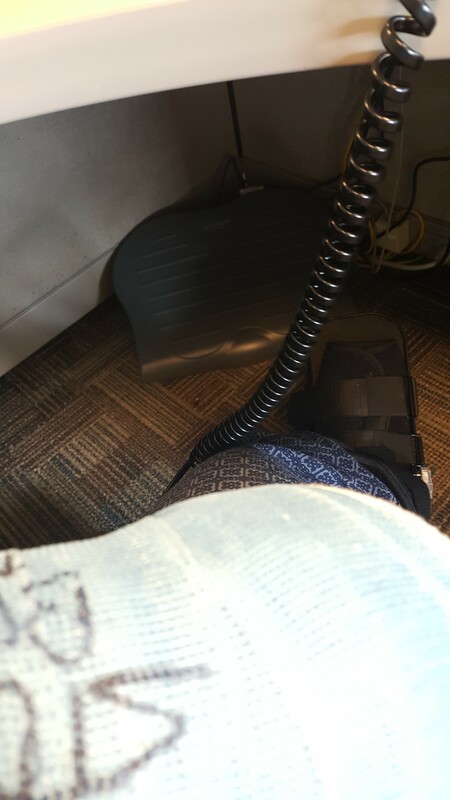 My wrist pain was sneakily hidden for the first half hour while my tibiofibular ligament in my ankle made sure I knew it actually existed. Thus began my journey back down. All in a matter of misstepping. I was trapped in a hazy, drug-induced sleep for the first day, but cleared my head enough to go back to work that Monday. I went in disappointed, and annoyed with the fact that I was stuck like this. I was actually was sent home because they wanted me to rest (I have the best employers ever). The thoughts “I’m going to lose so much muscle.” or, “I’m never gonna be able to hike again.” and finally, “Surgery!? But I have hiking, and trips, and a life!” ran through my mind. Devastation is an understatement to what I was feeling. I had to find a way to change my thinking. I started viewing the situation as a way to appreciate the Trail, and hiking from a distance, and I truly realized that my journey was so much more complicated than just hiking 2,000 some-odd miles. My journey was the ups and downs that got me to those first steps on Springer Mt. My journey was freedom. From suffocating buildings, and stuffy jobs, and people who didn’t understand, and most of all, from myself. From the person I had allowed myself to become. For me, freedom comes in 2 ways: God, and nature. So, really 1 way with 2 parts. In nature, my connection with my religion is heightened, I mean, I’m’ treading ground that God created, and allowed the plants to grow. He gave me a healthy body, and a desire to spend time with Him in nature. I am free there. I am at peace. But, in order for me to be at peace, after my accident, I needed to love (see where the song come in, yet?). I was bitter, and angry. Why was this happening to me? Why now? Why two limbs? I needed to release my bitterness and anger, and I needed to find my love and compassion again. This past Saturday, I got a call from a dear friend of mine. This person is kind of like Clark Kent, but they’re not secretly Superman. They’re just obviously awesome… So, nothing like Clark Kent.. You get the picture. Anyways.. This person called me, and not only did they listen to my whole sob story (roughly 45 minutes), but they encouraged, and boosted me up. And I don’t mean the whole, “I’m so sorry, get better soon!” crap every person says to you after an injury, or like the horrible pity stares you get when people see you hobbling down a hallway, but real encouragement like, “Well, praise God you were able to get down safely.” and “It’s a good thing you had Toni with you.” Genuine, awesome, encouragement, and I realized the whole situation was a part of my journey to freedom. Essentially, this post was written to encourage. When you’re in a bind, when you’re stuck, and you don’t know what to do, when you trip and break bones, or a bear eats your food, or whatever happens to you, there’s no reason you can’t get back up, and keep going. Your setbacks are there to push you forward! It’s usually on the cusp of desperation that the trouble finally breaks, and you see the reasoning and the light. Now, this next statement might be tough to read, but Love your challenges. You can’t be free from them until you embrace them with warmth, and love. How can you appreciate all of the wonderful things that are going to happen to you when you don’t have bad to compare it to? The bad moments, or tough situations are what frees you to love the good. Embrace them. Love them, and you will be free. 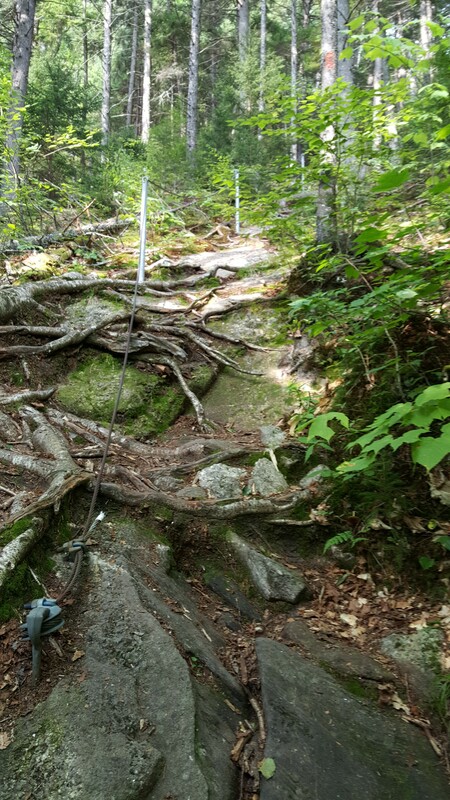 I did that same trail solo, while staying in New Hampshire for three months this summer. 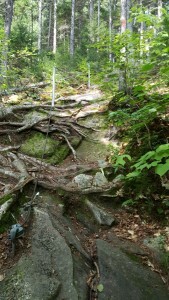 I agree, it’s a very challenging trail, and I really should have taken someone with me. Somehow I made it through. Sorry to hear of your injury. I’m training for a thru-hike on the PCT, so I know how you feel. Good Luck and Best Wishes to heal quickly! Thanks for this post. Praying you heal quickly and completely! $98/HOURLY SPECIAL REPORT!!! !……….After earning an average of 19952 Dollars monthly,I’m finally getting 98 Dollars an hour,just working 4-5 hours daily online… three to five hours of work daily… Weekly paycheck… Bonus opportunities…Payscale of $6k to $9k /a month… Just few hours of your free time, any kind of computer, elementary understanding of web and stable connection is what is required…….HERE I STARTED-TAKE A LOOK AT…….hku…….